This article was originally written for The Corridor of Uncertainty by myself and published on my original blog Our Man in Sao Paulo. It is still the most popular post on that site so I thought I might share it with you here. As an important ally of Portugal, the British have always had an interest in Brazil but never more so than in the 19th century when a significant proportion of the population of Rio was either British or of British descent. As in any other part of the world, the British found themselves, they made efforts to introduce the sport to the locals and by the middle of the century, Rio boasted half a dozen cricket clubs with games played on makeshift grounds. In the 1860s, as part of an effort to beautify the city, parks were created including the city’s first proper cricket ground which was later to host Rio’s first football games. However, the Brazilians were reluctant to participate in sport and, unlike football which following its introduction in 1894 eventually captured the imagination of the nation, cricket faded almost completely from view as the British population in the country declined. 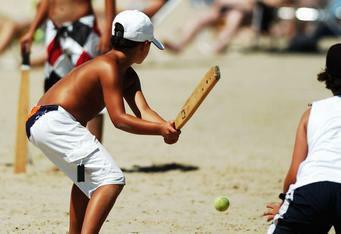 The modern form of cricket is still played across Brazil by small groups of expatriates and in 2003 Brazil became an associate member of the ICC but the popularity of the modern game is completely eclipsed by the popularity of a game which owes its genesis to Cricket but which has evolved and devolved into the game which is popularly known as Taco. Anyone attempting to describe cricket to Brazilians is able to save hours of effort by simply saying: “It’s a bit like Taco”. Unfortunately the momentary satisfaction of witnessing a wave of realisation sweep across the Brazilian’s face is soon replaced by further hours spent explaining that cricket is not simply a game played by children on streets and beaches but that pads, gloves and sometimes helmets are required, and that the cricket ball is hard and bowled occasionally very hard indeed. 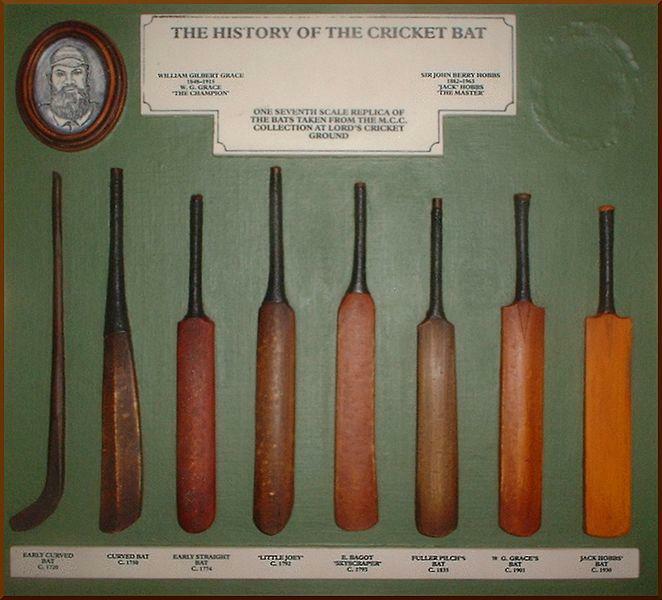 It’s easy to see how cricket has evolved over the last 150 years when the rules and equipment of the two games are compared. The Taco bat resembles much more closely the cricket bat of the early to the mid 19th century when bowling underarm was still a feature of the game and three sticks are used as stumps though these are much more commonly substituted these days by empty plastic bottles. Taco is played by two pairs, a batting pair and a fielding pair. The stumps (or cans or bottles) are placed either end of the wicket (though the term wicket is alien to the average Brazilian). Around each set of stumps is the crease (again this is not called a crease and is a circle drawn a full 360 degrees around the stumps). At each end a fielding/bowling player stands behind the stumps and the batting players stand with their bat grounded inside the crease. 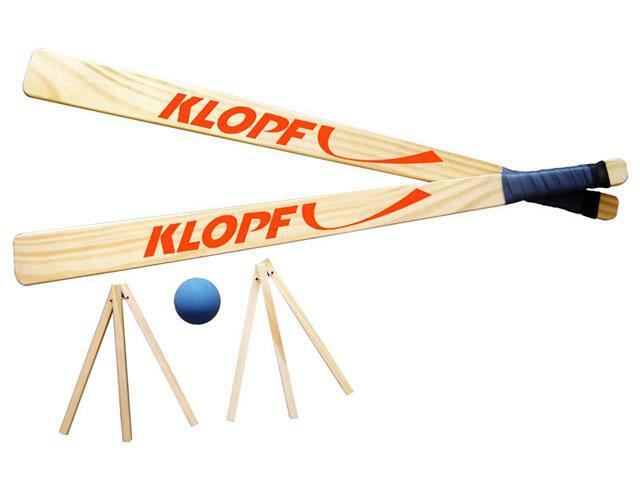 The bowlers attempt to hit the stumps and the batters try to hit the ball as far as possible. Like cricket, on hitting the ball the batters are able to run to the opposite end and accumulate runs. Unlike cricket, if the ball is hit behind, or catches an edge the batter is prohibited from running. Not only may they not run but, on the third occasion of the ball touching the bat and going behind, regardless of whether runs have been made in intervening balls, both batters are out and the two pairs exchange places. A batter may be stumped either by being bowled out or by being run out either when their bat is not within the crease or, get this if either or both of their feet are within the crease. Each time a batter is caught (even if the ball is hit behind), bowled or run out, the batting pair field and the fielding pair go into bat. The batters when running need to touch their bats as they pass for the run to count. A batter can also be got out by being hit by the ball while making a run. The ball can be bowled from either end, the ends do not need to alternate. The ball is usually bowled from the end nearest to where the ball has been retrieved but the bowler must bowl to the stumps furthest from the end from which they are bowling. If the ball is hit back to the bowler, the bowler may immediately bowl again whether the batter is ready or not. Although the batters and fielders may exchange roles many times over the course of the game, each team’s runs accumulate until the first team to reach a pre-agreed total, for example, ten, is declared the winner. Wikipedia lists 17 forms of cricket including many variations peculiar to particular regions or countries around the globe, What is the most peculiar derivation of cricket Corridor readers have encountered. I for one would be interested to know whether any are as close yet equally removed from cricket as Taco. As I write this, I am in the first phase of a house move, or rather flat move to be more accurate. For readers in the US a flat is an apartment and it is anything but flat. Phase one of the move is when you try to get your current flat into roughly the same shape as it was before you moved in so that your landlord doesn’t remove huge chunks of your deposit. For us, this has meant filling the plethora of holes I drilled while attempting to put up shelves so that the cats could fall asleep on them and then fall on our heads. Once the holes were filled the bumps have to be sanded down and the walls washed so that they can be painted while I am still on my easter holiday. We’ll miss the nice view of the sunset but the new property is more modern and includes a swimming pool and a gym in the condominium so I will have no excuses to avoid doing some exercise and losing some weight. The new flat also has a spacious balcony which has room for my vinyl records, turntable, armchair and a mini library of books. As well as being a corner for distraction, I am hoping that this corner might be a quiet place for me to write, only time will tell. The removal vans don’t arrive until the end of the month but I’ll let you know in a future post how things turned out. At this stage of my writing career, I find that I am working full time in a job that doesn’t require me to do much writing but that nevertheless is very demanding. At the end of the day I come home and try to reach my daily writing target which, at the moment, is a very modest 500 words per day. If I have any time after this, I might devote some attention to marketing. As a teacher, I do have the benefit of more holidays than most which I usually use to prepare for book launches. If I’m not careful then the result of a busy life can be added stress and frustration and this frustration can soon develop into irritation unless I employ techniques of maintain patience with students, staff and everyone else I meet in an average day. I was having a discussion with a friend of mine about how myself, my wife and my daughter were all finding ourselves getting very stressed and anxious about what life was throwing our way and he told me about a book which had helped him when he was a teenager: Don’t Sweat the Small Stuff by Richard Carlson. In small bite size chapters Carlson shares a whole range of tips to help you relax, develop more patience, put life into perspective and generally be a nicer person to yourself and those around you. It’s the kind of book that you probably need to dip into time and time again and, as I have downloaded the audiobook, I expect I will need to listen to it again from time to time. Another demon who lingers around writers trying to put them off their work is the condition called Impostor Syndrome and it is something which afflicts the successful and famous just as much as the artist who is just starting out. It is typified by the feeling that I don’t know what I’m doing, that my manuscript is rubbish and that sooner or later I will be discovered for the fraud I really am. Joanna Penn of the Creative Penn recounted a story of listening to a panel of speakers at ThrillerFest including Lee Child who writes the Jack Reacher novels and all of the successful authors on the platform admitted that they too suffered from this complex of inadequacy just as much as the first time writer. In fact, any good writer will have doubts about their manuscript. Only a poor writer would have absolute confidence in their work and have no doubts about its content. My work in progress has a character who is so anxious that he his occasionally so overcome by his anxiety that he faints. I am enjoying exploring the character and hope that he is able to discover some of the techniques he needs to not sweat the small stuff. This week I have been mainly working on creating large print versions of my first four novels. For many independently published authors, the idea of producing large print versions never occurs to them. Even many traditional publishers do not bother to publish large print versions of their titles. Readers with visual impairments can simply turn up the font size on e-readers such as Kindle but many readers still prefer print and libraries cater for users with visual impairments who like to read print editions. Joanna Penn, from The Creative Penn has been an advocate of the large print format for a long time and has an interesting video on how to produce large print books. I changed the font to Times New Roman and increased the size to 16pt which increased the number of pages for by already quite large trim size of 6″ x 9″. This meant that I had to ask my cover designer to increase the size of the cover to accommodate the larger spine and to add the revised bar code with the new ISBN. She also added a label to indicate the edition was large print. The only book I was unable to do this for was Fred & Leah because the increased pagination exceeded the maximum allowed by KDP. In this case, I had to increase the trim size to ensure the pagination remain within KDP’s limits. The other effect of the increased pagination is that the book costs more to print. The standard print editions of my books range from $8.99 to $11.25 whereas the large print editions are being sold between $14.99 and $19.99. In a flat in South Wimbledon the lights flicker, go off for a second and then come back on. She looks up at the bulb, shakes her head and returns to applying makeup. A quarter of a mile away, in a Victorian terraced house, bacon crackles in a pan. “I haven’t time for breakfast,” David shouts down the stairs. He squints into the mirror, seeing a face succumbing to years of worry and restless nights. His features Have now given up the fight and have resigned themselves to a permanent frown. Bags cling beneath his eyes and jowls threaten to drop to Earth at the slightest breeze. The sun has not been kind either and has scarred his skin with freckles and moles which sit upon a saggy, ruddy canvas like the pattern on the damp wallpaper which curls from the bathroom wall above his head. He is his own absent landlord who has neglected his face for years. It’s too late to take care of himself now, he thinks, resigned to a future of continued neglect. Lighting a cigarette, he perches it on dry lips which he parts to expose nicotine stained teeth, cracked and missing, like the tiles on the wall by the mirror in front of him. Downstairs an old woman shovels the bacon into her mouth. Each chew luxuriates in a bed of wrinkled skin, undulating like a creased but well-loved blanket covering pillows of flesh around her eyes, nose and mouth. This face has worked hard for many years and is enjoying retirement among wrinkles that have smiled through two world wars, the Spanish flu and austerity. The ears, which now seem too big for her head, have heard big bands, crooners, the blitz, rock and roll, disco, punk, new wave and hip hop but she still maintains that the young must enjoy themselves while they can, as long as they don’t bother her. Her eyes have seen sorrow, relief, joy, pain, death, life, love, hate, greed, selfishness and beauty but have not dwelled too long on any. The smell of bacon drifts up the stairs past the stained floorboards, past threadbare rugs, nicotine stained wallpaper, stuffed animals, and scientific equipment. A quarter of a mile away steam caresses the double glazing of a bathroom window. A disposable razor ploughs straight edges in fields of shaving foam, revealing delicate legs below. David is not aware of the activities of the razor as he pops his head round the sitting room door. Mother is watching Richard and Judy. David dons his hat he leaves the house, hearing the familiar sound of the brass knocker as the door shuts firmly behind him. On the tube, he sniffs the newspaper. At least that’s what it looks like to onlookers. His visual impairment has left him only able to read if he holds the paper at an angle so close to his face that it appears as if he is reading with his nose. She tries to direct her nose as far away as possible from the armpit of the man next to her. She appreciates that he needs to hold on. Heaven forbid that he should fall on her. She knows that the armpit is just something that has to be endured until either she or he leaves the cramped compartment. ‘The Northern Line is always like this in the summer’, she complains grumpily to herself. London Transport hadn’t even bothered to reply to her suggestion of installing heat exchangers to take the heat out of the tunnels and use it to heat offices, buildings and leisure centres along the route. Instead, they had installed those ridiculous fans which only succeeded in moving the hot air around. The door opens, and the armpit gets off. She breathes a sigh of relief and adjusts her posture to one which is slightly less uncomfortable. All she needs now is the man who kept trying to push his groyne into her leg. If she sees him again she’ll cut it off, she tells herself and now even carries a pair of scissors in her bag for the purpose. They are crimping scissors, but she doesn’t care. He’ll just get crimped. He knows she is sitting there in the corner of the meeting room. It is all he can do to concentrate on his presentation now that she is lodged in the back of his mind. The glimpses of her skin so smooth like a freshly laid picnic blanket, the sparkling water twinkle of her eyes, delicious red lips glimmering and beckoning like the sweetest of puddings. Even the curve of her nose looks as unblemished as the day it emerged from her mother’s womb which he thinks must have been very recent. The lush foliage of hair borders the face in which he imagines taking refuge. The smile with which she had greeted him evoked thoughts of secret gardens and the delights offered within but he knows that this is all fantasy and fantasy is how people usually describe his work. He recounts all the figures. He knows them inside out and back to front, but he is finding it hard to focus while she sits in his peripheral vision. No-one seems to be getting excited about his research. Do they not grasp the significance of what he is showing them? 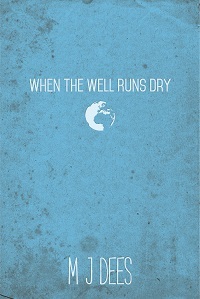 A clean, cheap source of energy, generated at the point of use. He sniffs his notes as they study his plans laid out before them. Occasionally the suits exchange glances and wry smiles with each other. Well, that is that then. He’s said all he has to say. He sits back and watches her while he waits for a reaction from his audience. 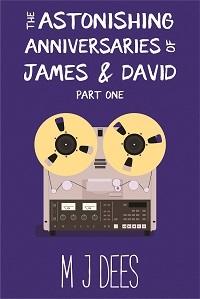 The suit gathers up the papers and leaves the room followed by a line of sniggering fellow suits, leaving David alone in the room with her. He shifts in his seat, and they exchange polite smiles. Laughter drifts through the partition walls and, after what seems like a very long time but is perhaps only a few moments, the suits return. “But I’ve done it,” David protests. David follows her back to the reception and smiles as she thanks him for his time and leaves him to be eyed by the security guards. “Mother,” he calls out, closing the front door behind him. He enters the sitting room. Mother is still staring at flicking images on the television. She knocks on the chief suit’s office door then immediately enters. She takes the papers and leaves. As she walks down the corridor, she glances at the top sheet and recognises it straight away. They’re his designs – the crazy man who came in this afternoon. The bastards are stealing his designs. But why? They wouldn’t work. It can’t be done. She only has a degree in nuclear physics, but even she knows you can’t change the fundamental laws of the universe – the first law of thermodynamics. She slides the papers into an envelope, addresses the front then sits down, playing with the envelope in her hands. “How did it go?” David is asked, almost before he’s closed the door of the pub behind him. “Philistines,” he says, taking the pint that has been poured without him asking. The barman has the terrible affliction of always sounding sarcastic no matter how genuine he attempts to be. David is used to this and focuses on his beer. She sees the Trafalgar on the next street corner. Through the door she is greeted by a heavy red curtain which she pulls to one side to enter the bar, feeling as if she’s just emerged from a changing room. She smiles at the barman who grins at her and asks what he can get her. “What have you got?” She wonders aloud, looking at the row of handpumps on the bar. “What you see is what we’ve got,” the barman sarcastically points to the pump clips bearing the names of the ales. He isn’t trying to be rude, only clever. “I’ll have a pint of Hophead.” she asks. “Ale drinker eh?” the barman inquires. He manages to resist the temptation to ask what a nice girl like her is doing in a dump like this. The barman raises his eyebrows, and the rest of the transaction is conducted in silence. She takes her glass and wanders through to the lounge and there he is, sniffing a copy of the London Drinker. “Excuse me,” she says as she approaches. He squints at her and then drops his magazine in his pint. “May I?” she points to a stool. “Yes. Yes, of course,” he half stands, then sits again as she occupies the stool. the magazine to avoid having to make eye contact. He squints at what remains of the beer in his glass. For the first time, he has the courage to look her in the eye. “I don’t want to sound rude but your plans. Well, they were right about one thing. She follows him into the large Victorian house. History Museum, pictures of animals and actual animals adorn the walls. Against her better judgement, she follows him up the stairs. “Where are we going?” she whispers. flicks a switch, and the landing is illuminated. “That’s not it,” he says. She looks around the landing. It looked better with the lights off. “Here it is,” he says sniffing an object then turning to face her. She laughs. She can’t help herself. “Take it.” He waves it at her. She takes the object and turns it in her hands. Rechargeable batteries? Capacitor? She can’t see any obvious power source. but the glow continues with the same brilliance. and she felt compassion. She offered the glow back to him. She reaches into her bag, pulling out the envelope. He puts the reactor down and takes the envelope. She looks at the glow, then the envelope. I have just typed the last words of the first draft of my fifth novel which I am tentatively calling LIVING WITH THE HEADLESS MULE. It is both a sequel and a prequel to my first novel LIVING WITH SACI following the life of Brazilian teacher Teresa da Silva as she struggles to be reunited with her daughter in England. In LIVING WITH SACI, Teresa met a man whom she suspected might have been a character from Brazilian folklore called Saci Perere. LIVING WITH THE HEADLESS MULE takes another Brazilian folk story as inspiration – the story of Mula Sem Cabeça or the headless mule. In the folk tale, the ghost of a woman has been condemned by God to take the form of a mule with fire for a head in retribution for fornication with a priest within a church. In LIVING WITH THE HEADLESS MULE, Teresa meets a priest, or rather a pastor, but the relationship soon becomes complicated. 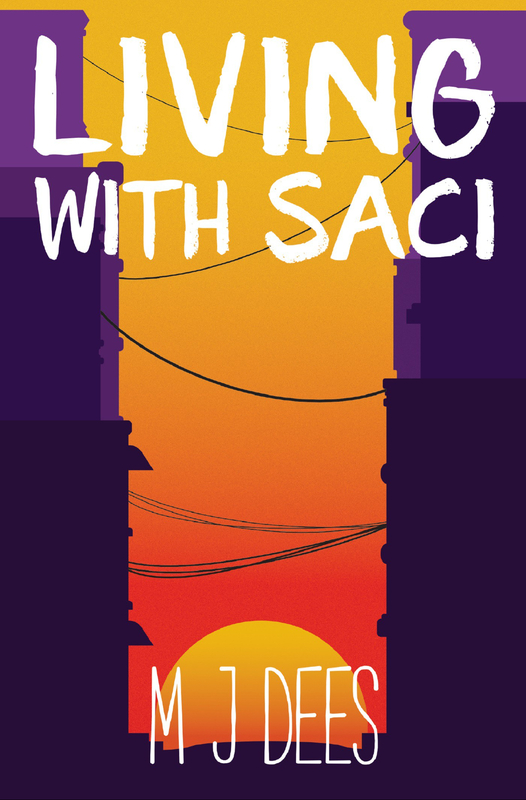 The story is intertwined with chapters which reveal more of the backstory to LIVING WITH SACI and her desire to be reunited with her daughter is present throughout. Like my first novel, LIVING WITH THE HEADLESS MULE promises to be a similar brand of romantic suspense with perhaps a little more spice than its predecessor. The manuscript will now go into a virtual drawer for a couple of months before I start rewriting it but, if all goes well, I hope to launch the book around the end of July. Now it is onto the next project and tomorrow I will write the first words of the first in a series of 36 (yes you read that correct) sci-fi novellas. The plan is to write three novellas and one novel a year. I hope that the first three novellas will be launched in January 2020. Watch this space.